Thanksgiving is my absolute favorite holiday. It’s all about getting together with family and friends (yes, I’m an extreme extrovert) over a feast (and a foodie) in the spirit of gratitude. I did this gratitude tree a few years ago and it was a hit! The picture above is what everyone saw in our foyer upon arriving. Instructions were written on the framed chalkboard made by my friend Katie. 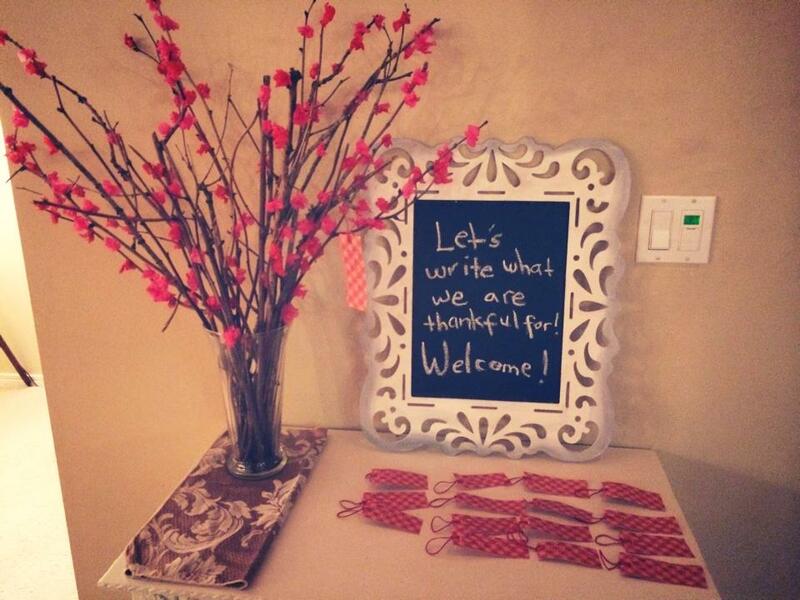 After guests wrote what they were thankful for, they hung their gratitude tag on the tree. 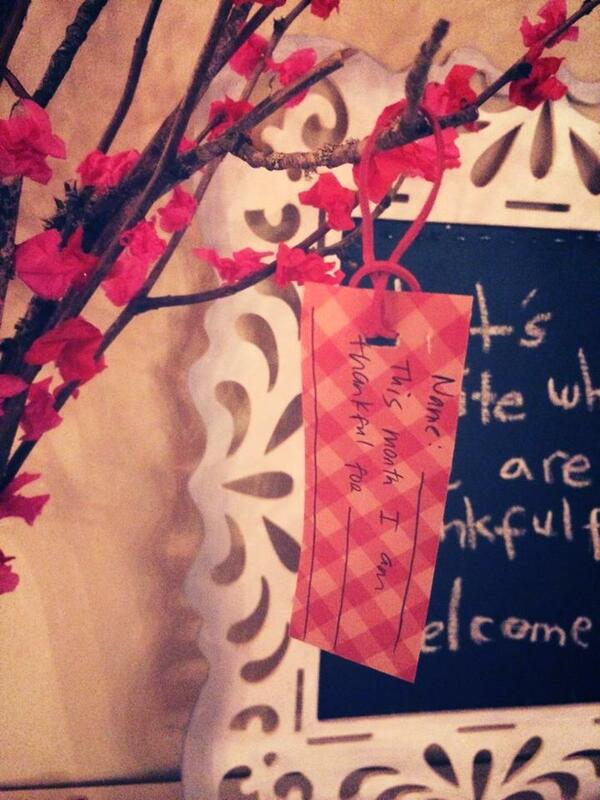 The best part of this gratitude tree is that it becomes a fun little game. None of the guests actually know what’s going to happen with the tags on the tree. 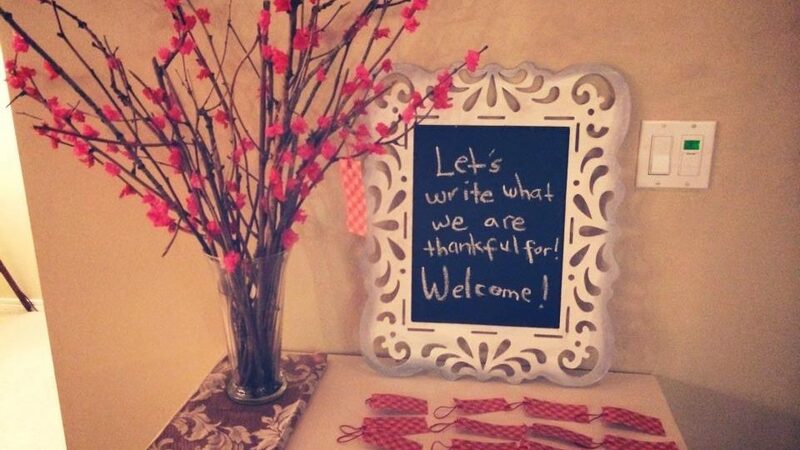 Before the meal, when everyone is seated and a prayer of thanks has been said, I pass out all the gratitude tags. Each person then reads the gratitude tag out loud without mentioning the name on the tag, and the entire table guesses who wrote it. At this point laugher ensues especially for what parents helped kiddos write. There are also a lot of “awwwws” and joy from reactions towards the nephew who’s thankful for his new girlfriend, or the uncle who’s gotten a job promotion. 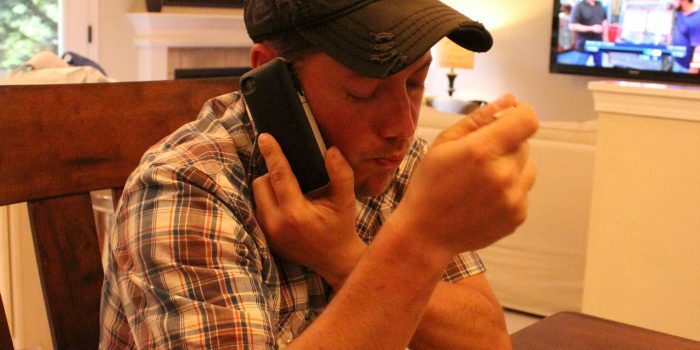 It’s the sweetest little Thanksgiving tradition. Wanna try this at your home this year when you host? This is how I made the gratitude tree for pennies! Here’s a metal flowering branch if you don’t feel like making one. I cut out the gratitude tags from old scrapbook paper, made a hole in each one, and put a rubber band in each. Nothing fancy. Don’t want to make a tree? A beautiful autumn bowl would be a lovely choice. It could be an heirloom to hand down to your kids that they’d always associate with your special Thanksgiving tradition. Here’s a simple “give thanks” bowl, lovely fall leaf bowl, and a “grateful” bowl. Do you have any Thanksgiving traditions? I’d love to know. This Thanksgiving tradition makes for a fun game at the dinner table.